Even though dogs can’t communicate with words, they do speak to us through their body language. But some of our notions about common canine gestures, like tail wagging, may not always be correct. 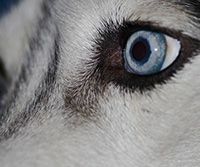 Often you have to look at several physical cues such as the dog’s eyes, ears, and mouth and body posture to get the true message he is expressing. Here are some pointers that will help your clients become better “listeners” to their dogs and may even help them anticipate and avoid aggressive behavior. Tail-wagging is a good example of a gesture that humans often misread. Most people take it to mean that the dog is happy, but while that’s often true, a wagging tail in itself is simply a sign of arousal. It’s important to look at the tail’s position and how it is moving to determine what the wagging actually means. If the tail is held high above the spine and is moving stiffly, this could be an indicator of overstimulation or even aggression. “I have worked with dozens of people in my career who were bitten by dogs that they thought were friendly due to their wagging tails,” said Steven Appelbaum, president of the training school Animal Behavior College. On the other hand, if the tail is wagging slightly but held very low, this may indicate submission in a fearful dog. So when is tail-wagging the sign of a happy dog? Usually when the tail is even with the spine or slightly elevated, its movement is fast and relaxed, and it may even be rotating in a circular motion. Research has also shown that when a dog sees a person it likes, the tail wags more to the right, whereas with an unfamiliar person, the movement is more toward the left. A dog’s ears provide one of the best clues to its state of mind. Ears that are up and relaxed often indicate a calm, relaxed and friendly pup. When the ears move slightly forward but remain in a relaxed position, it may signal that the dog, while still friendly, is becoming edgier and alert to something in its environment. Ears that are pricked far forward can be a sign of play arousal, but they can also indicate aggression arousal, especially if the body is stiff and the mouth is open showing the teeth. 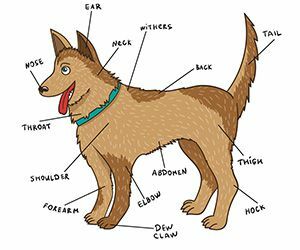 Pet parents should always look at the overall body posture when trying to determine what their dog is “telling” them. A straight relaxed stance with feet flat on the ground generally means that the dog is relatively content, unthreatened and approachable. A forward lean with weight on the toes indicates an alert dog that is checking things out, trying to determine if a threat is present. A lowered body with a tucked tail and ears held back, as described by Appelbaum above, is a sign of fear aggression. Dominance aggression is often manifested by a stiff legged stance with a slight forward angle, elevated hackles and a raised and bristled tail. 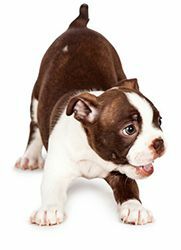 A dog in a playful mood will commonly “bow” or lower its forequarters by bending its front paws, hold its ears and tail high and open its mouth, exposing its tongue. When a dog rolls over on its back, it can be the ultimate sign of total surrender and submission -- or it can just mean the pup wants a tummy rub! Bark – Worse Than Bite? 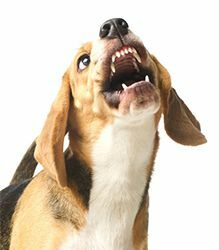 Being able to read a dog’s vocal cues can often give advance warning of aggressive behavior, added Appelbaum. “Dogs usually vocalize impending aggression with growls or barks, but not always,” he said. 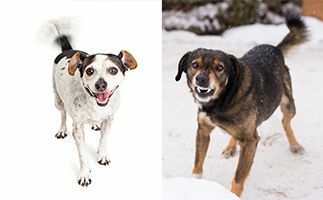 “Some dogs simply warn with body language, and people who don’t understand this language are often surprised when the dog bites. This is part of the reason why so many people describe the dog that bit them as having ‘given no warning’ before the attack. While no warnings are possible, they are extremely unlikely. What is far more likely is the dog gave numerous warnings which the pet parent either ignored or didn’t understand. . . ” All of which shows why it’s so important for trainers and pet parents to be attuned to canine body language.